ď»ż Island of Rab, Croatia. How to reach us with car, bus, flight, boat, ferry with timetable. Weather forecast and map description! Island of Rab, Croatia. Travel information. How to reach Rab, Ferry timetable, Flight schedule, Boat connection! 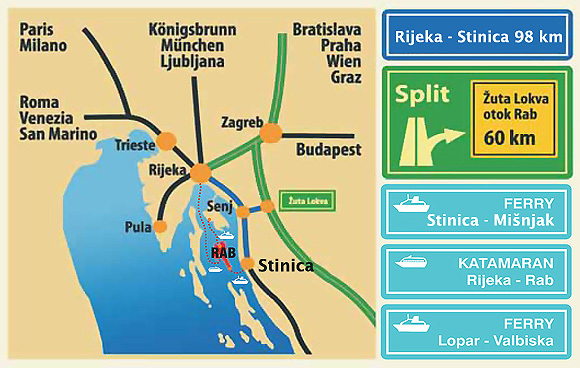 STINICA ďż˝ MISNJAK ferry line runs throughout the year. The ride lasts for 15 minutes. During the tourism season all the four ferries are running as long as there are vehicles to transport, regardless of schedule. You buy the tickets before entering the ferry at the charging office. This line is only for passangers. Journey duration: 1 h 45 Min. This line is only for passangers. Not for vehicals! 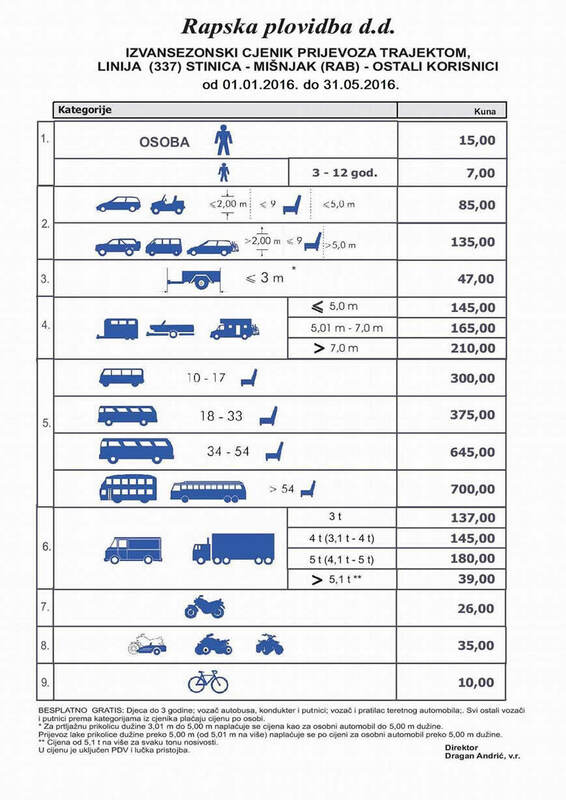 ďż˝ Transport reservation rendering option is at least 5 days in advance, later upon possibilities and agreement. ďż˝ Reservation has to contain date and the time of arrival and flight number, and date and the time of departure and flight number, and the name of the Hotel on the island of Rab. 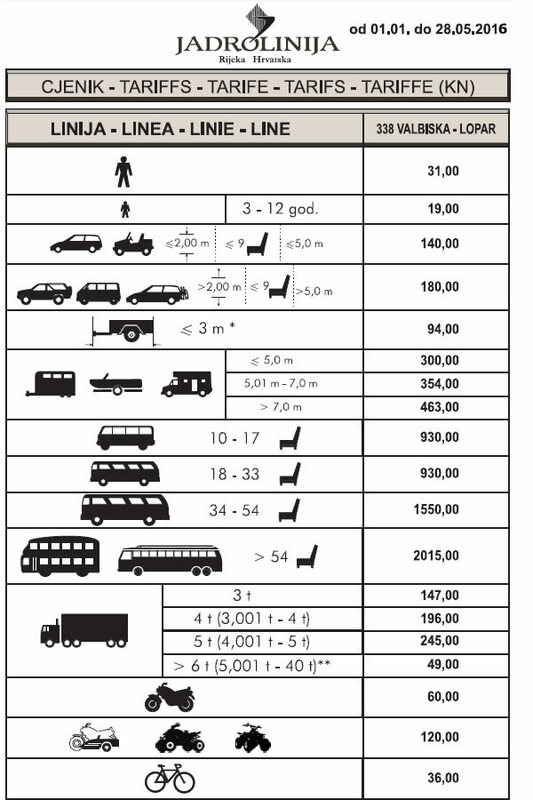 ďż˝ For other passengers loading and unloading site is: bus station in Rab, bus station in Lopar and Hotel Padova.